You’ll never see tougher lighting or composition challenges than those you’ll face in Costa Rica. The interior of the rain forest is about as bright as a big room with one forty watt bulb hanging from a high ceiling. In the age of digital cameras the ISO rating of the sensor can be pushed to 3,200 to get the shot but image quality suffers – a lot. To test your camera’s performance try taking a picture of a dollar bill from across the living room at night with one lamp on in the room. The president’s face is probably about how the keel billed toucan on a branch 50 feet away and 70 feet up in the tropical forest at mid-day will look. If you want wildlife photos consider a superzoom camera like the Canon SX60. The Olympus TG-5 Waterproof (50 feet/15 meters) Camera has a superfast f 2.0 lens and takes excellent shots while snorkeling or SCUBA diving, in low light under the rain forest canopy and has an amazing LED assist microscope setting for extreme closeups of bizarre insects. 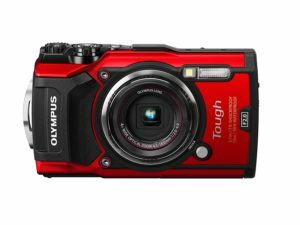 If you are planning adventure activities (rafting, waterfall rappelling, ziplines in the rain, snorkeling) consider an underwater camera like the Olympus TG-5. If you don’t have a totally waterproof camera (rated to at least 15 feet/5 meters depth) just buy the photo cd from your tour operator because no matter how careful you are you cannot keep your camera dry and also use it on these adventures. We speak from personal experience and countless stories. Why not a “professional” Digital SLR? We’ve tried DSLRs and frequently traveled in Costa Rica with professional photographers who use nothing else and based on that experience we don’t recommend them. I started with a totally manual large format film camera and basement darkroom 40 years ago and I know my way around all those knobs, buttons, rings, and dials but still choose to use the two cameras shown on this page when working in Costa Rica. It’s not a matter of money. Even though an ideal DSLR set up is around $25,000 and you can get both recommended cameras above plus a monopod and all the other accessories in the photography packing list below for under $1,000 it’s simply because the recommended combo is much better for Costa Rica. Crab on the reef offshore from the Osa Peninsula – Olympus TG-4 (before the new edition TG-5 came out). 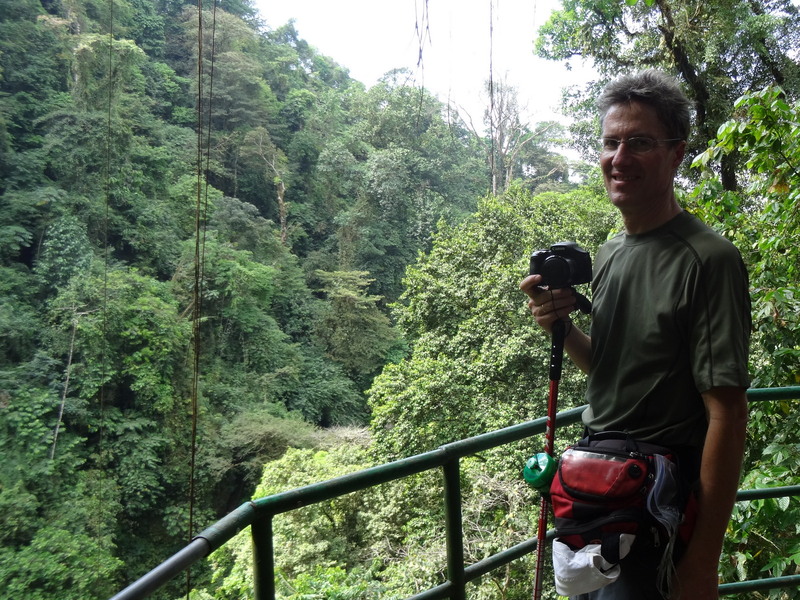 Reaction Time – When hiking with the SX60 mounted on top of my trekking pole I can plant it, aim, focus and get a shot of a spider monkey brachiating through the treetops in about 2-3 seconds. I carry the camera powered on, with a UV filter instead of a lens cap and any time I think that there may be some quick action I set it to full resolution continuous shooting and get 3-4 shots per second (a DSLR may get 6-10) and toss out the bad ones later in editing. Even if you’re carrying a DSLR that happens to have the correct lens already mounted on a tripod slung over your shoulder it’s going to take 10-15 seconds to flip it over, kick the legs out, tilt, focus and click – to get a picture of nothing but leaves because the monkey is long gone. 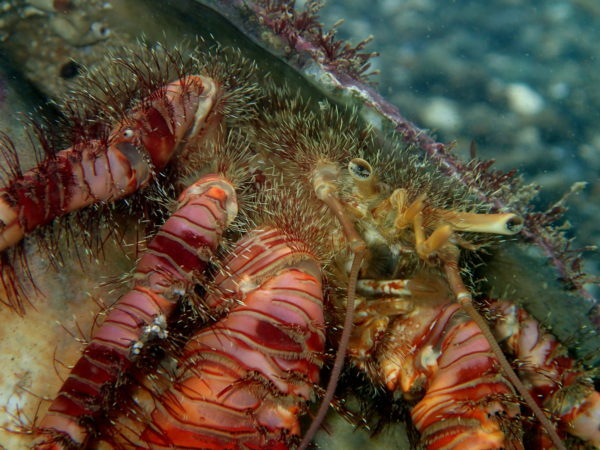 Setup & Convenience – I can switch from wide angle to super zoom in 1-4 seconds or above water to underwater instantly. With a DSLR it takes minutes to swap out lenses, install housings, switch tripod mounts (some long lenses mount the lens to the tripod where short lenses mount the camera to the tripod) especially if you spend the time to carefully cap and encase the $10,000 telephoto lens you took off so it isn’t damaged. There are also shooting situations where it’s impossible to switch lenses without exposing the inside of the lens and camera to flying dust, falling rain or other elements that will destroy them. Weight & Size – the Olympus TG-5 weighs 8 ounces, slips in a pocket, is indestructible and goes literally everywhere with me in Costa Rica. I invented a wrist strap with velcro adhered to the camera that allows me to mountain bike, climb, rappel, ride a horse or anything else that requires two hand while keeping the camera within instant reach of my shutter finger. 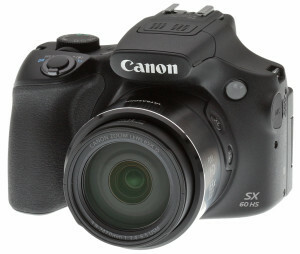 The Canon SX60 is a pound an a half and I usually carry it mounted to the top of a trekking pole ready to shoot. With 2 cameras, extra batteries, the trekking monopod (both cameras have quick connect shoes mounted so I can switch in a few seconds), lens wipes, filters, memory and dry bag all my photo gear barely weighs 3 pounds. A Digital SLR, three lenses (telephoto, wide angle, and macro) with a padded armored camera backpack plus tripod large enough to stabilize the telephoto lens weighs 42 lbs. It is approximately the size of a sleeping six year old child, about as easy to carry and almost as expensive if you drop it. Range & Versatility – You can purchase a $10,000 ten pound dedicated telephoto lens for a DSLR but the SX60 compact still brings the subject more than twice as close. The same is true on the macro end where the TG-5 “microscope” setting actually works. Not to mention you don’t have to carry a $1,600 underwater housing to get a couple of quick shots in the middle of a waterfall rappel. Actually even the DSLR underwater housing won’t work to get that shot because you’re never going to be able to manage the rope for the rappel with an encased camera the size of a toaster under your arm. Security – There aren’t many hotel rooms, parking lots or hiking trails in Costa Rica where $25,000 is secure. Publicly waving around equipment that costs more than two years salary for an average Costa Rican is just asking for it. Most pros that we know work in teams of 2-3 and spend a lot of time keeping an eye on stuff. An “enthusiast” level DSLR setup (anything under about five grand for a body and 3 lenses) is slightly less likely to be stolen but still weighs a ton and has all the other disadvantages plus if you do manage the perfect shot it won’t be nearly as perfect. There’s only one place a DSLR excels. If it’s operated by a professional photographer, stabilized by sturdy heavy tripod, mounted with the appropriate lens at the appropriate time and the bird hasn’t flown off during setup then the image quality from a Canon EOS 5D Mark IV Full Frame Digital SLR Camera is SPECTACULAR. If you want a dozen stunning photos of Costa Rica then a Digital SLR, artistic ability, and years of experience are required. If you want hundreds of excellent pictures then all you need is an index finger to push the shutter on the Canon SX60 or Olympus TG-5. A Camera – as emphasized above you’ll miss at least 80% of the best pictures if you try to rely on a phone. You can start with a Galaxy Note8, iphone 8plus, or other phone touted for its fantastic camera then add as many extender lenses or other gizmos as you want but unless the toucan is tied to a perch and you can walk right up to it the photo will still look like crap. Tripod or Monopod – whether you’re shooting film or digital, if you want high quality you have to shoot from a stable platform. I converted an old Leki telemark ski avalanche probe pole by adding a pan and swivel head from a broken Bogen Ultralight Tripod to the top of the hand grip and I wouldn’t go anywhere without it. Very Long Telephoto – Most of the good wildlife shots we’ve gotten have been taken at a 1600mm or longer (35mm equivalent focal length). Sorry, but there’s no generic way to explain that focal length in “X.” A 20X zoom may be a very long telephoto if it starts at a normal field of view but it may not be a long telephoto if it starts at an ultra-wide angle field of view. You have to look at the 35mm equivalent focal length. Monkeys will usually just be little black dots when you take pictures with your phone or big fuzzy black blobs if you fingerswipe zoom way in and take pictures with your phone. UV filter – Instead of a lens cap I use a $20 UV filter on the Canon SX60. It saves a step for quick shooting and protects the lens almost as well. I have broken a couple of the camera on things but I just pop on a new $20 filter and keep shooting. The Olympus does not need protection. Lens Wipes – Normally I hate little pre-packaged, individually wrapped, disposable things because they’re environmental disasters but lens cleaners are an exception. It’s really tough to keep a cloth clean so a wipe presoaked with solution in a tough little package is ideal. When I rip one open I usually clean both lenses, the viewfinders, my prescription glasses and sunglasses all with the same wipe. Lots of Memory – It’s nice to be able to backup and many modern cameras can upload directly to the internet via wi-fi (however most Costa Rican internet connections won’t be fast enough). If you’re planning to back-up to a memory stick or CD/DVD (yes burners are still commonly used and available at internet cafes) make sure you have any necessary cables and drivers. Spare Batteries – If you use rechargeable batteries the voltage (110) and wall sockets are the same as in the United States. You’ll want at least one spare especially if you use rechargeable batteries. You will not find a replacement rechargeable battery in Costa Rica. Ziplock Bags or Dry Bag & Silica Desiccant – Costa Rica is a wet place. Ziplock freezer bags (the freezer versions are tougher) work really well to prevent condensation (see below) and keep the rain off. They will not adequately protect a non-waterproof camera while rafting or canyoning. Dry bags vary a lot in quality and effectiveness. A good one might protect a non-waterproof camera while rafting or doing other water sports as long as you don’t, submerge it for too long or remove the camera from the dry bag to take pictures. When leaving an air conditioned room, put the camera in the bag while you are in your room and leave it there for at least half an hour (less if you can find a sunny spot to sit it) after you take it outside. This will prevent the moisture in the warm air from condensing on the camera and causing damage. I mentioned that we’ve field tested over 20 cameras while traveling around Costa Rica. So do we have a box full of used cameras? No, when we want to try something out we buy it in the U.S. just before heading down to Costa Rica then if we like it we keep it and if we don’t we sell it when we get back. This has one huge hidden benefit. Our Credit Card Member Services include 90 day no matter what replacement coverage. Lost, stolen, smashed or even if I accidentally open the locked battery compartment door on the Olympus Waterproof camera while snorkeling and it fills up with Caribbean sea water it gets replaced for free. Costa Rica is hard on gear and I’m even harder. We’ve had three cameras replaced by VISA. Odds are that if you have a credit card it includes this coverage even if you don’t know about it. If you’re thinking about buying a new camera wait until a week or two before your trip so it’s covered.